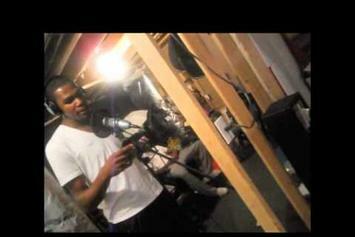 Experience Dave East "in the Studio with Kevin Durant " Video, a new offering from Dave East, which was released on Monday, November 21st, 2011. Things are looking better for Dave East with each new release, which Dave East "in the Studio with Kevin Durant " Video has proven yet again. It's worthy addition to the impressive body of work Dave East has been developing over the years. We're looking forward to hearing what's next. Peep Dave East "Same Gang" Video, the latest visual from Dave East. It dropped on Wednesday, November 16th, 2011. Dave East's future brightens with every new release, and Dave East "Same Gang" Video certainly isn't an exception. It's a fitting addition to a solid catalogue that Dave East has been developing since stepping foot in the game. We're excited to hear more. Peep Dave East "One Take" Video, the latest visual from Dave East. It dropped on Thursday, August 25th, 2011. Dave East's odds keep getting better with each new leak, and Dave East "One Take" Video will undoubtedly improve his chances of winning. It's a worthy addition to a respectable catalogue that has seen a lot of growth since Dave East debuted in this game. We're looking forward to the follow-up. Peep Dave East "Something's Missing" Video, the latest visual from Dave East. It dropped on Sunday, July 24th, 2011. Dave East's future brightens with every new release, and Dave East "Something's Missing" Video certainly isn't an exception. It's a fitting addition to a solid catalogue that Dave East has been developing since stepping foot in the game. We're excited to hear more. Watch Dave East Feat. Swagg Kingg & Knoc The Hometown Hero "Tonight" Video, the latest video from Dave East, which dropped on Wednesday, November 17th, 2010. Dave East's horizons are broadening with each new release, and Dave East Feat. Swagg Kingg & Knoc The Hometown Hero "Tonight" Video is no exception. It's a worthy addition to a catalogue that has seen much growth since Dave East stepped foot in the rap game. We're looking forward to hearing more.